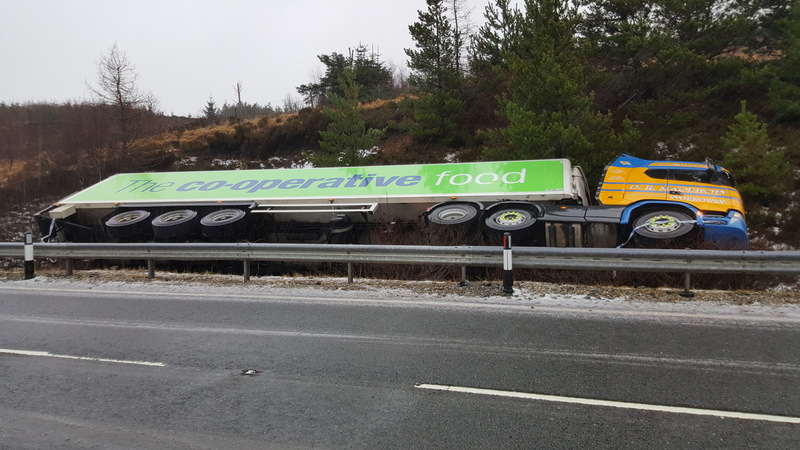 “Realising that I had lost control, I braced myself for the impact.” Those were the thoughts of Co-op lorry driver, Luke Stirling just before severe winds sent his vehicle careering off the road outside of Portree in the early hours of this morning (Thursday). 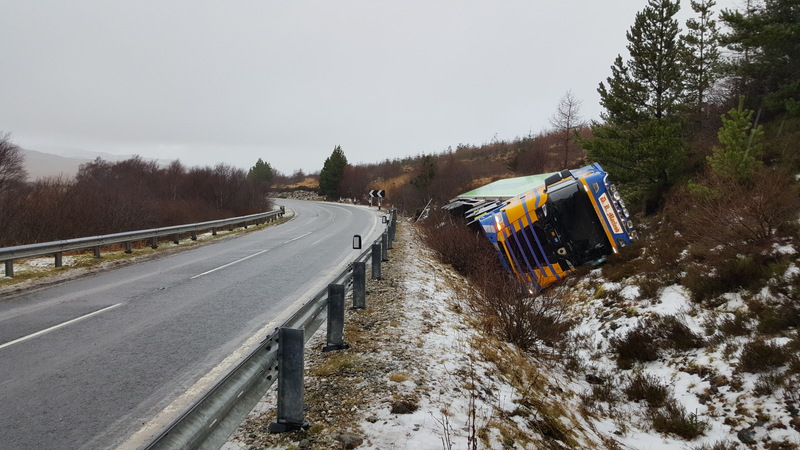 27-year-old Luke, who works as a driver for DR Macleod road haulage, was travelling south on the A87 – between Portree and Sligachan – when his lorry was forced off the road and into a ditch around 3.45 am. 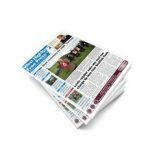 “I had just dropped off at the Portree Co-op,” Luke told the Free Press “and reloaded with the empty salvage – which has no weight. 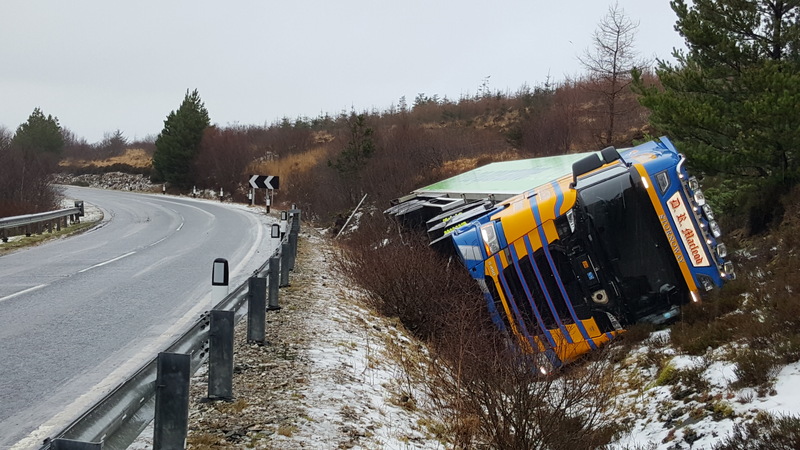 I was going up the hill just out of Portree where the wind was extremely strong, and with the fresh snowfall, I had backed off travelling between 30 and 35mph up the hill coming down towards where the accident happened. 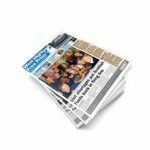 “I took up my position in the middle of the road, as I could see no light of oncoming vehicles as I entered the corner. I kept my position and then I got hit with another blast of wind on my off-side. At that point, the wind forced me across my side of the road where I lost traction, which I couldn’t regain due to the camber of the road and the snow. “Realising that I had lost control, I braced myself for the impact, before I went through the two signposts and slide down behind the rail. 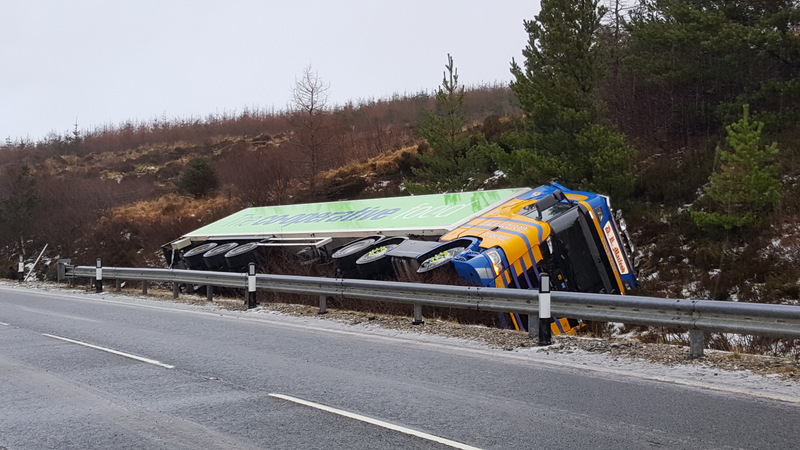 “My automatic reaction was to pat myself down to make sure I was ok, then I phoned the police and my nightshift supervisor to report the accident before I got out of the unit. Once Luke had left the vehicle, he went towards the road to make sure he hadn’t blocked it and then removed all the debris from the accident.